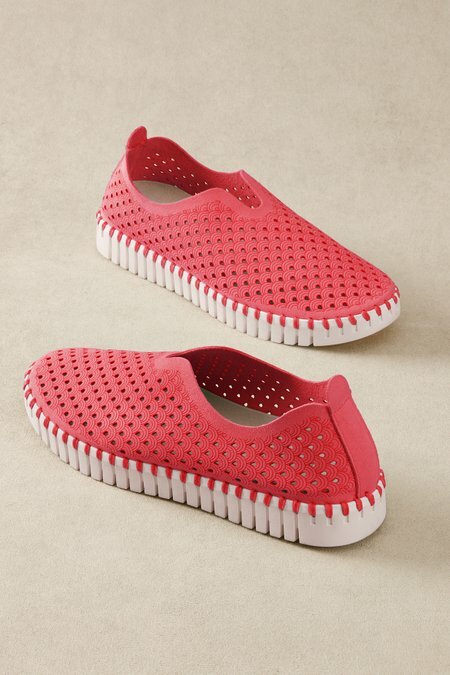 Slip-ons rule the runway and none are more in demand than this metallic nubuck-look version with laser-cut perforations, split tulip upper, soft padded footbed and bouncy rubber sole. Let your feet shimmer wherever you wander. 1-3/4" heel.